Stair railings, like many elements in a home, serve a dual purpose. They’re both functional and at the same time required to be aesthetically pleasing. When you shop for new railings for either indoor or outdoor stairways you’ll want to find a style and material that best serves both purposes. For outdoor railings you’ll want to keep in mind the severity of weather they’ll be exposed to as well as the overall design of the house. For indoor railings you’ll want to emphasize beauty and elegance and use a material that will provide you the most design options. For an increasing number of design savvy homeowners that material is iron. Design flexibility: Unlike wood iron can be worked into any design you can imagine and will be none the weaker for it. 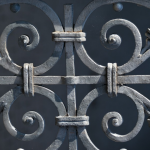 From the most traditional of motifs to stunning contemporary designs that embrace simplicity, strength and timelessness iron can do it all. Durability: When it comes to which is the more durable material for outdoor railings there’s simply no contest. When you install wooden railings you’ll likely need to replace them in 10 or 20 years. With iron however the railings you install today will be there to serve your grandchildren when they inherit the house many decades from now. 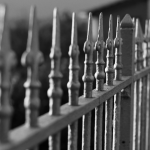 Safety: Whether indoors or outdoors your new railings from Master Iron will be several degrees of magnitude stronger and safer than any wooden railings you could have. You’ll never need to worry about the kids’ safety as they move up and down the stairs or be concerned if an elderly relative needs to lean on the railing heavily for support. Cultural panache: There’s no other material that can compare to iron when it comes to the breadth of cultural associations. 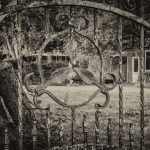 Among other things iron has been called the “bones of the gods” by ancient philosophers, is associated with luck in many cultures (think horseshoes) and is used as a metaphor for something solid and enduring (“iron-clad resolve”). Affordability: Custom iron stair railings for Toronto homes may cost a bit more than wood to install but in the long run they’ll save you a bundle. 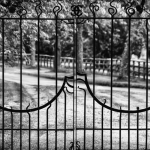 Whether indoors or outdoors Master Iron railings will require very little maintenance and last for several lifetimes before they need to be replaced. 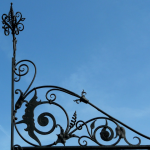 In the hands of our master craftsmen iron becomes a beautiful, timeless component of your exterior or interior design. 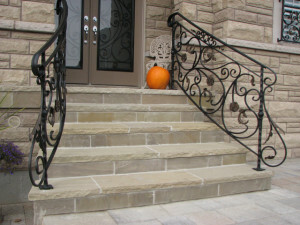 We can create custom iron stair railings for Toronto homes that will help separate those homes from the pack design wise and increase their overall market value. 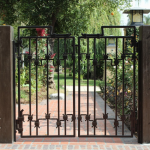 Give Master Iron Stairs & Fence a call today and find out more about why iron is your best bet.